Please be aware- if you are a student in a DANCE COURSE- the class requirements for your scores for the Mile, Push ups, Curl Ups, Leg and Back Flexibility, are outlined on 'Tech Classes General' Page. The state requirements listed on the references on this page are for MINIMUM PASSING SCORES (i.e. the LOWEST you can possibly score- Think of it as the D- of health and fitness). When tested in class for Dance your scores should reflect a higher standard of achievement. Please follow the instructions regarding the information below. Ask your instructor if there are any issues/ questions. 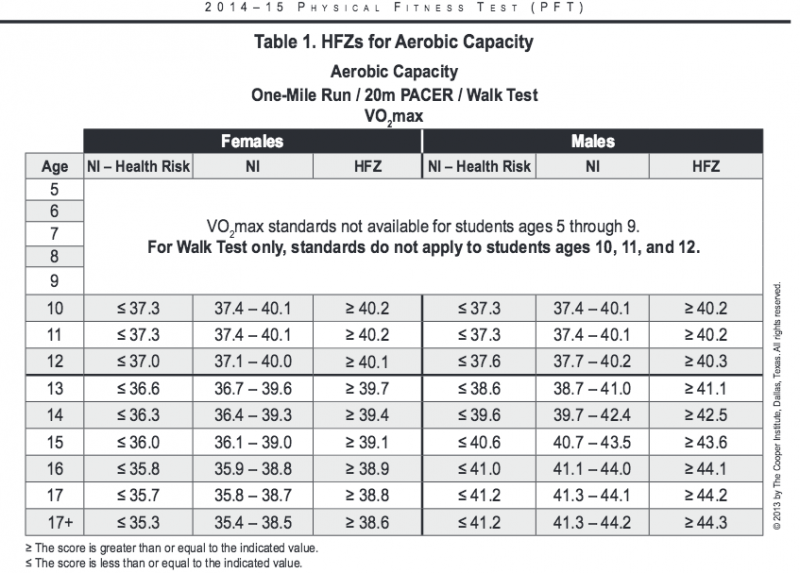 One of the most common questions asked regarding this test- is "How fast do I have to run the Mile to pass the test. Based on what is posted below- We agree. 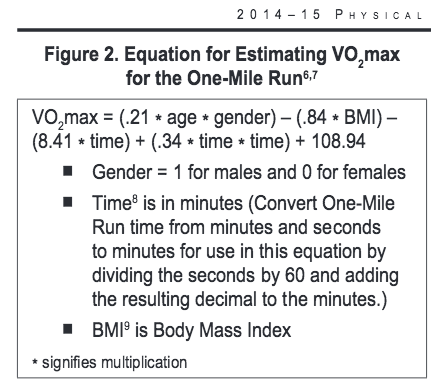 Calculate your BMI (I have used the chart above provided on the Center for Disease Control Website). Then follow the steps below. Once you have calculated this- check your numbers on the chart below.